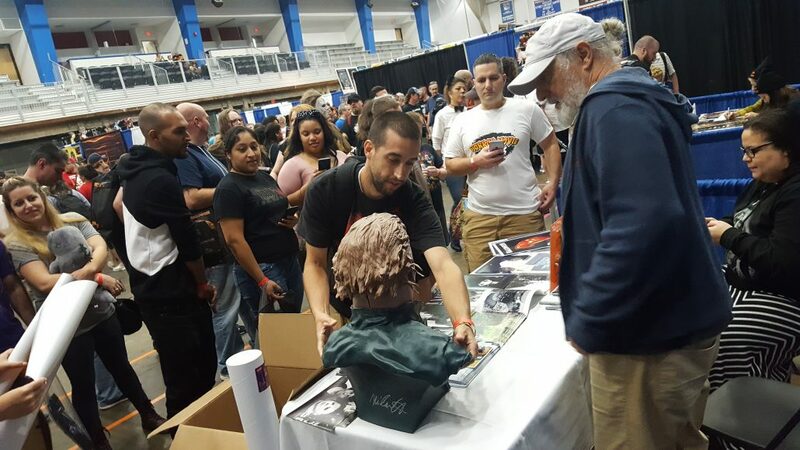 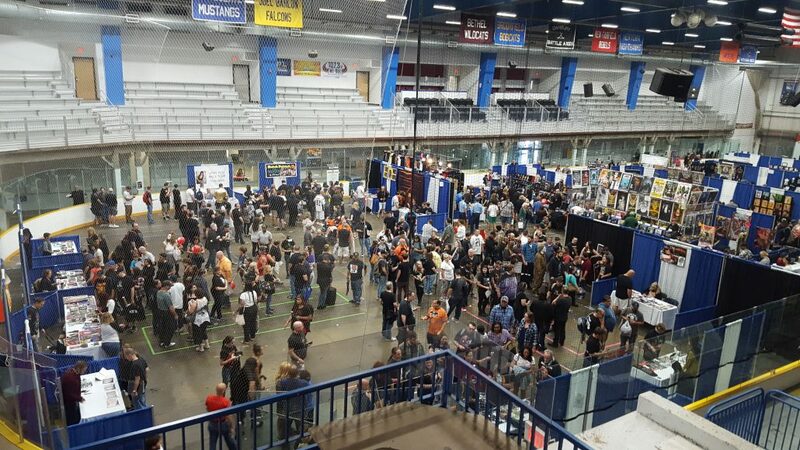 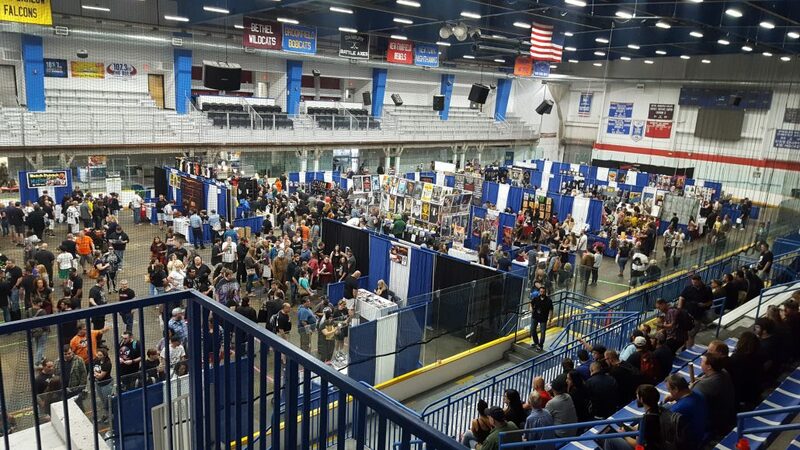 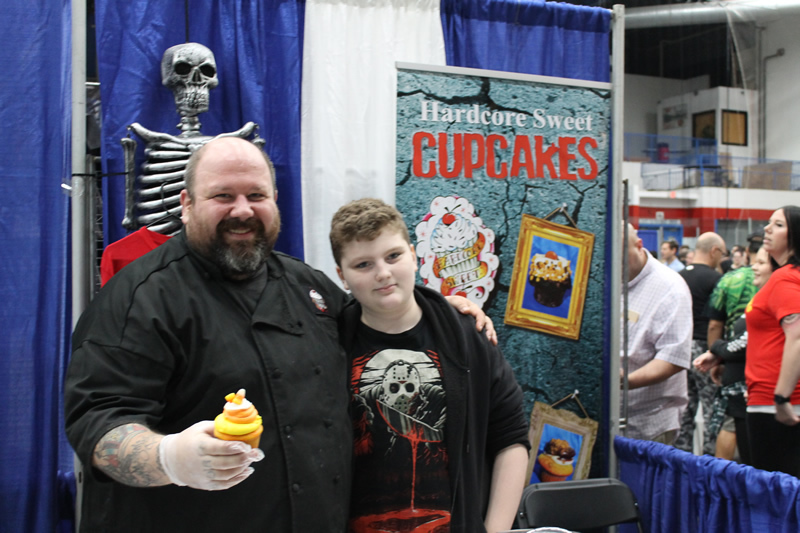 CT HorrorFest Returns to Danbury and Rocks Once Again in 2018 - Horror News Network - The Horror News You Need! 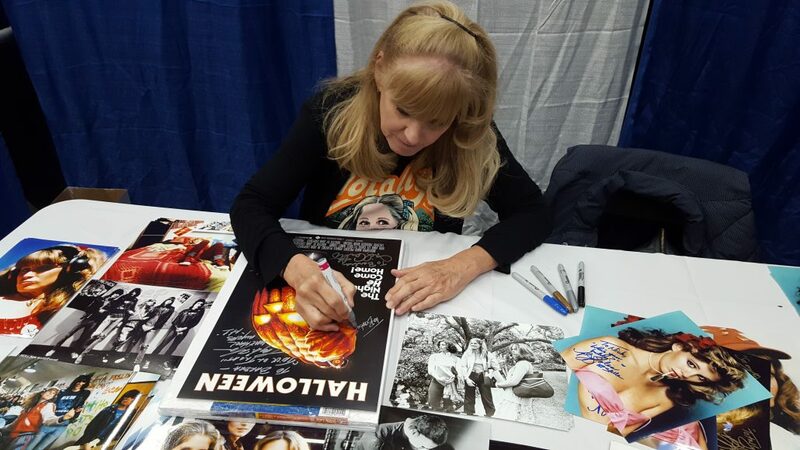 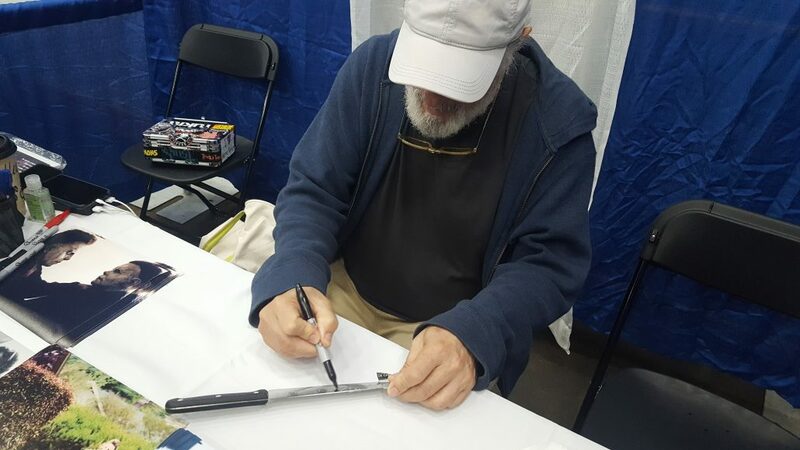 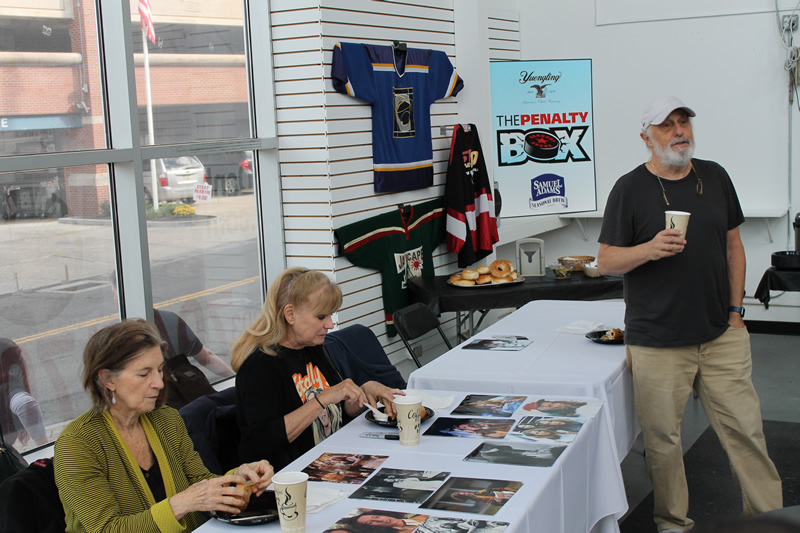 Early Bird VIPs to the event had the privilege of enjoying a 10 AM breakfast with the stars of the original 1978 Halloween including Nick Castle, PJ Soles and Nancy Kyes. 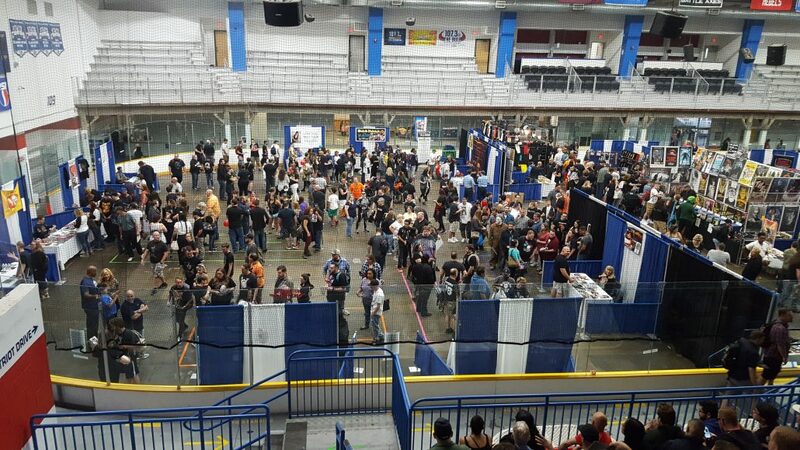 The general admission crowd entered the arena an hour later with staff everywhere to help out. 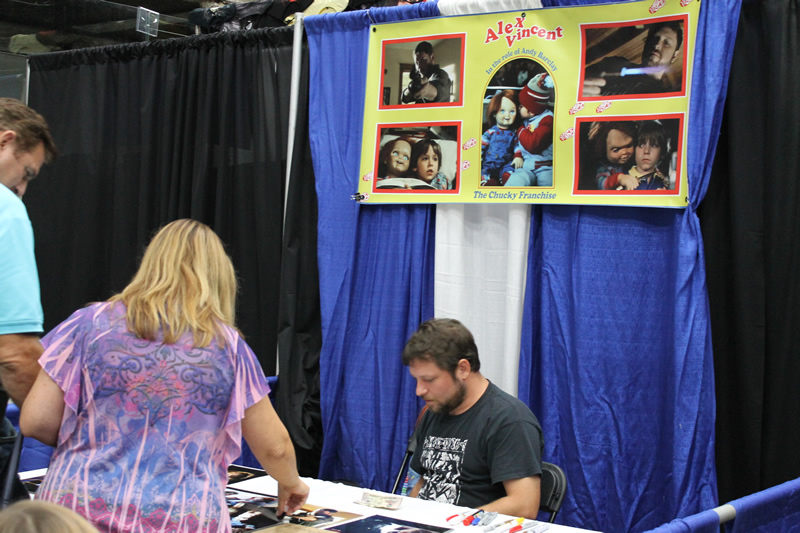 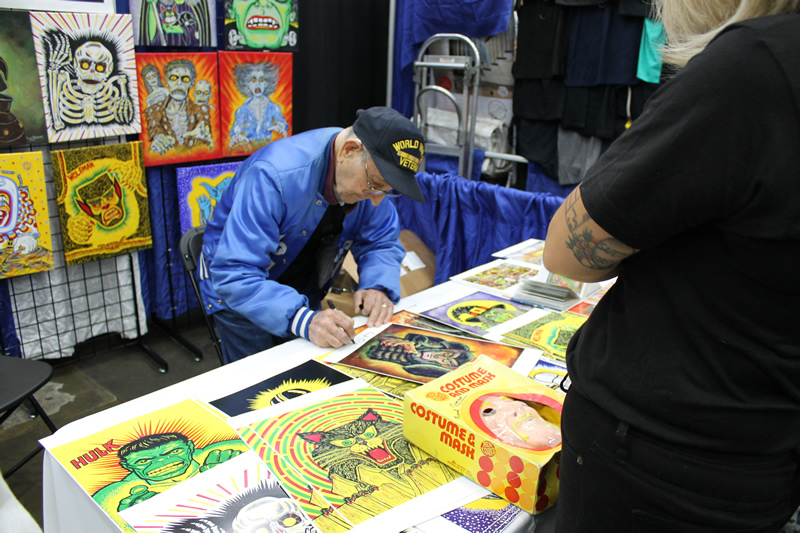 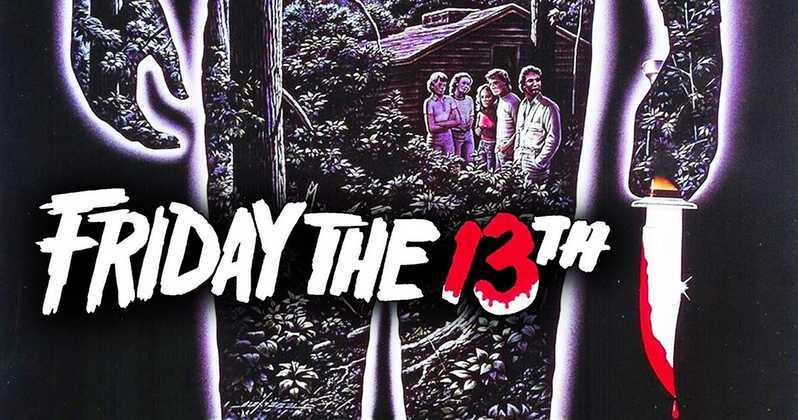 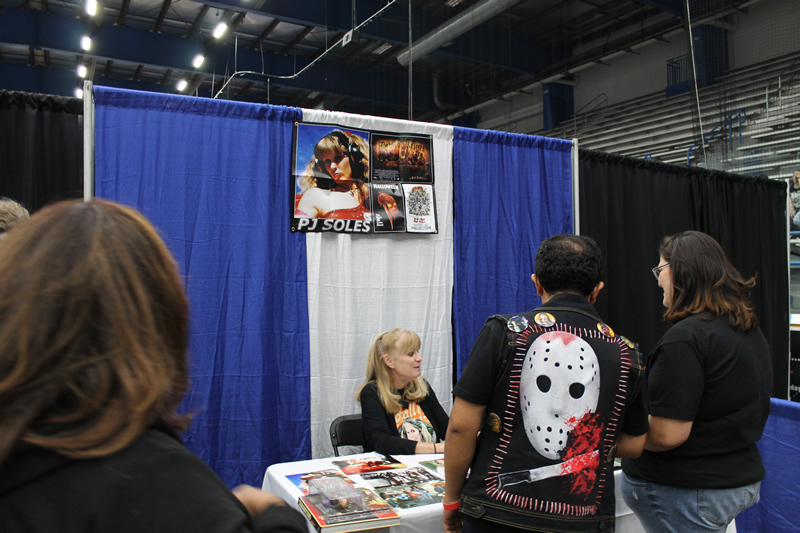 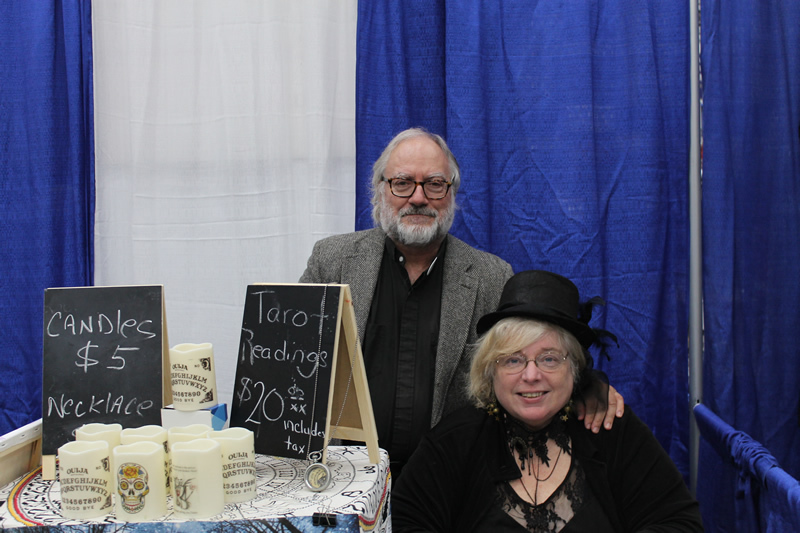 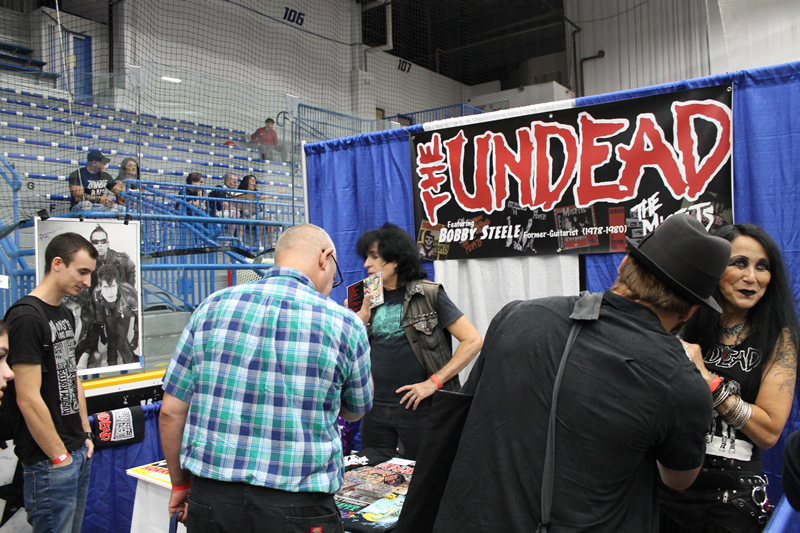 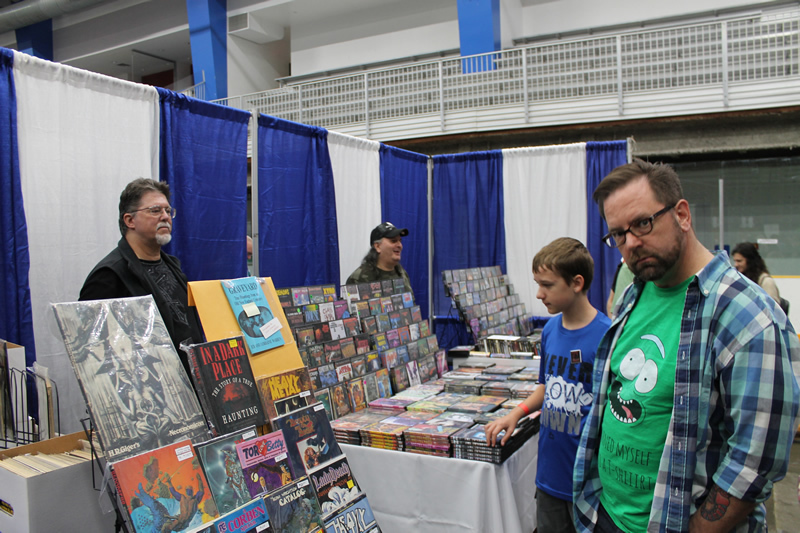 Fans were able to check out multiple rows of vendors who sold many horror-themed items such as clothing, collectible figures, DVDs, jewelry, pillows and posters. 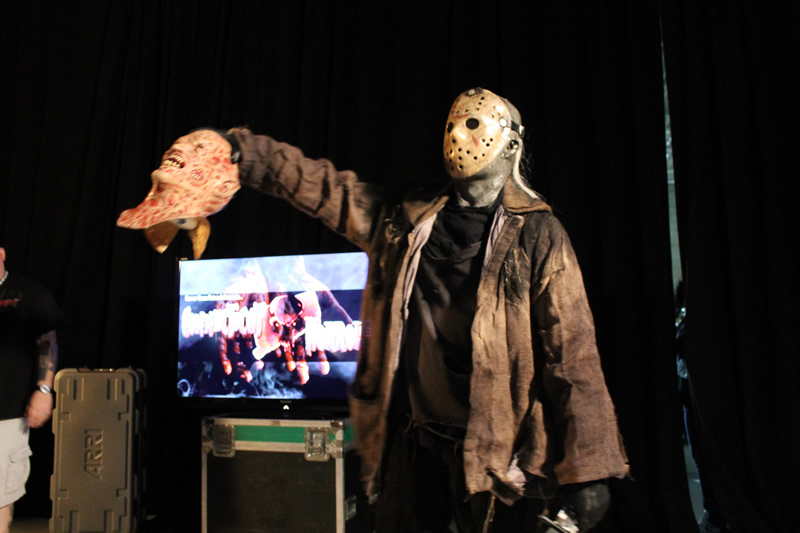 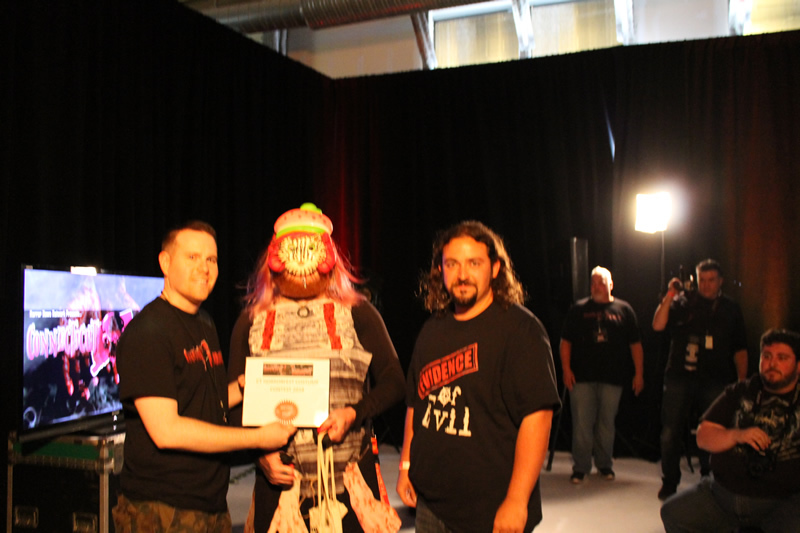 One of the exclusive features of this year’s CTHF was the final public viewing of Evidence of Evil’s “chamber” which fans could enter and gaze upon a macabre torture setting with painful looking devices and menacing characters who guests would have to try to escape from. 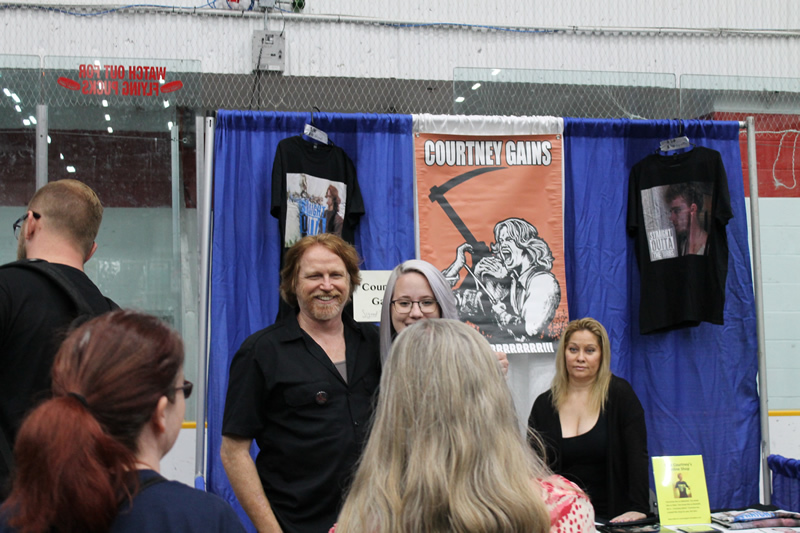 After getting a chance to look through the vendor tables, the main area of the arena was designated for the guest celebrities. 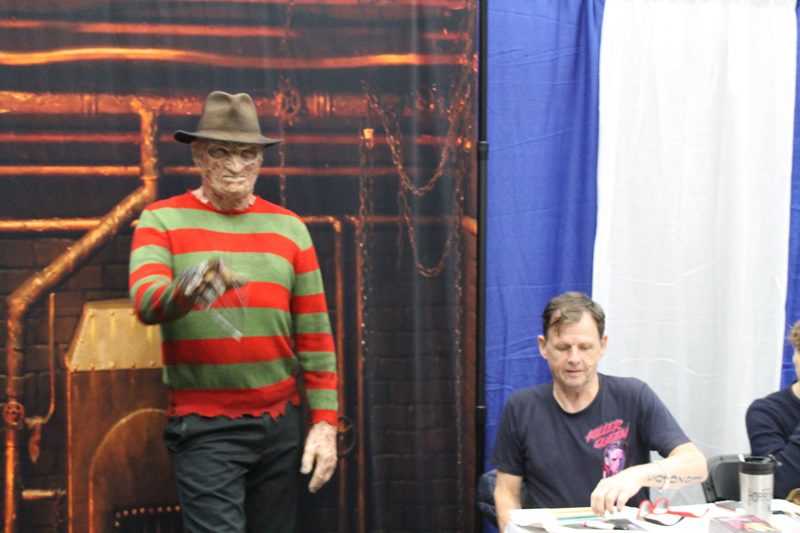 This year, in addition to Castle, Soles and Kyes from for the 40th Anniversary of Halloween, guests had the opportunity to meet legendary actress Pam Grier (Jackie Brown), Bill Moseley (The Devil’s Rejects), Alex Vincent (Child’s Play), Mark Patton (Nightmare on Elm Street 2), John Franklin and Courtney Gains (Children of the Corn), Butch Patrick (TV’s The Munsters), Michael C. Williams (The Blair Witch Project), former Misfits and member of The Undead Bobby Steele, horror artists Frank Romano and Jeff Zornow, and former TNA wrestler Velvet Sky. 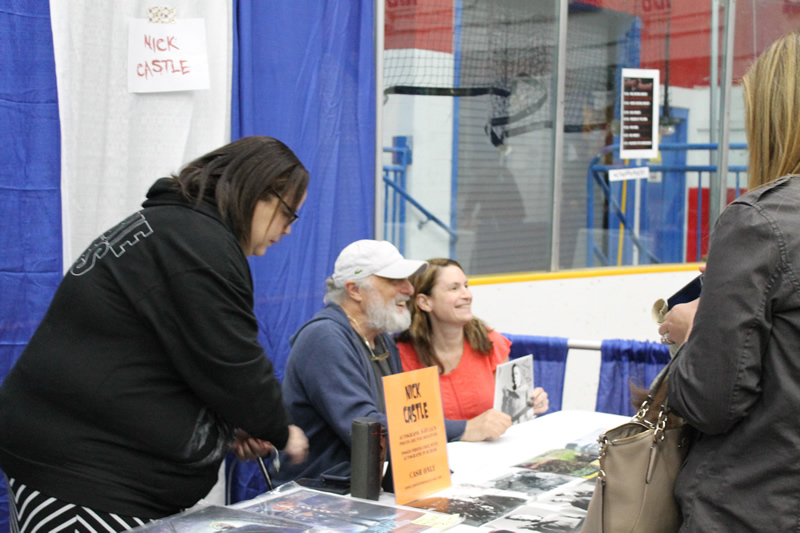 Fans were able to get autographs on many 8×10 size photos the actors had available at their tables or items people brought themselves, along with getting to take photos with them. 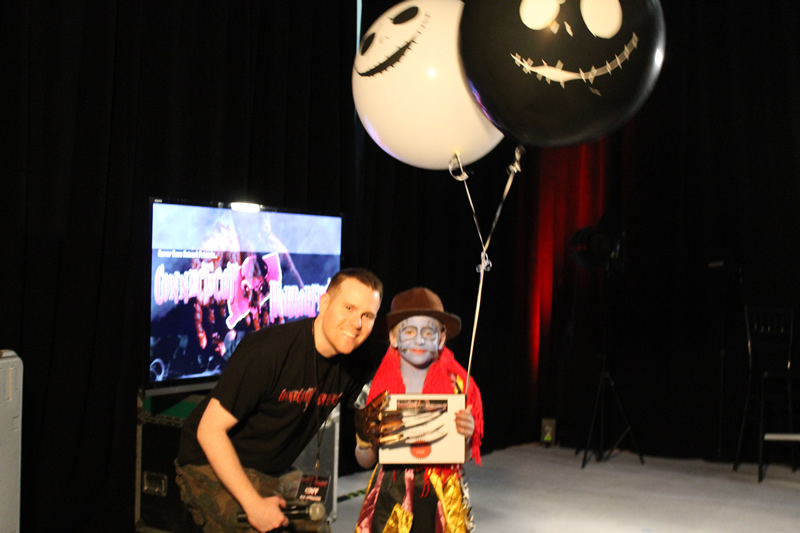 This year, the events of the day began with the kids’ costume contest for young ones age 13 and under to compete for best costume and win amazing prizes; first was for $50, second for $25 and third was a Family Four pack to Monster Mini Golf, who also sponsored the event. 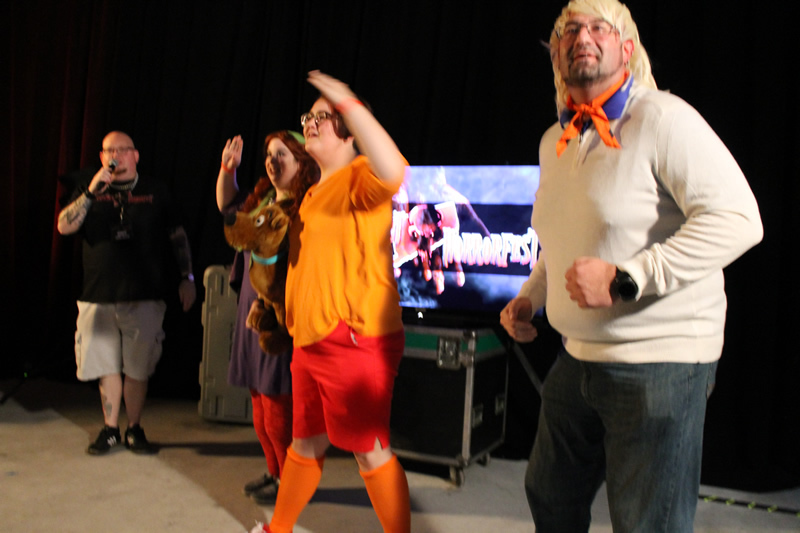 The adults’ costume contest, sponsored by Evidence of Evil, followed shortly thereafter that offered the grownups a chance to compete for prizes of first for $250, second $175 and third was $75. 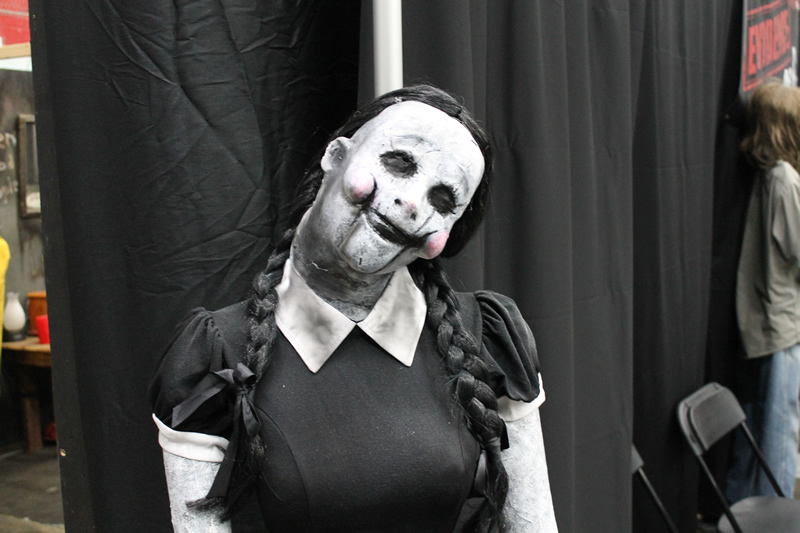 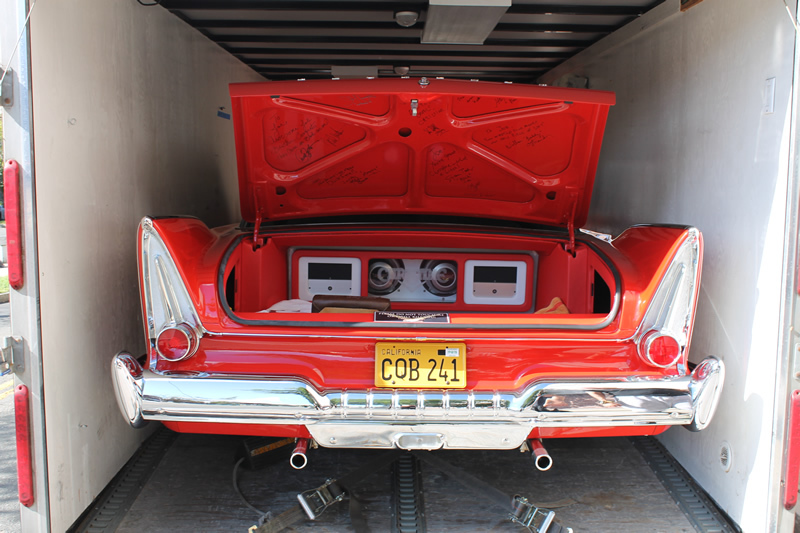 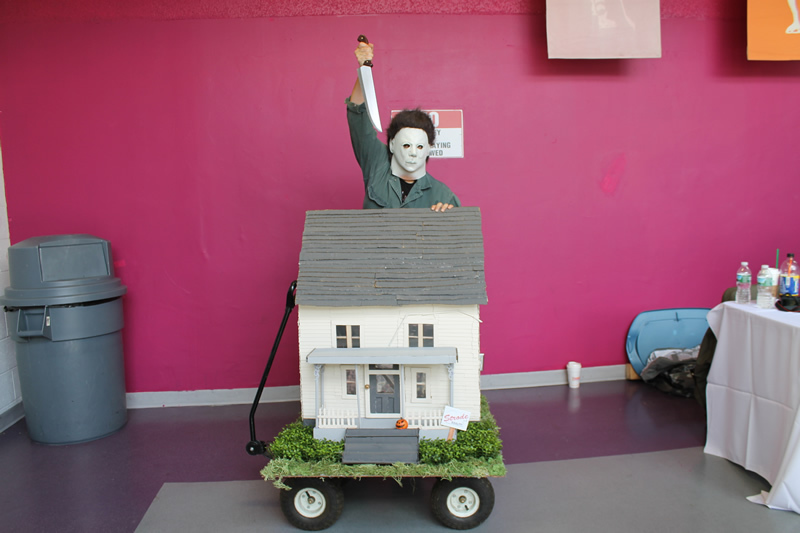 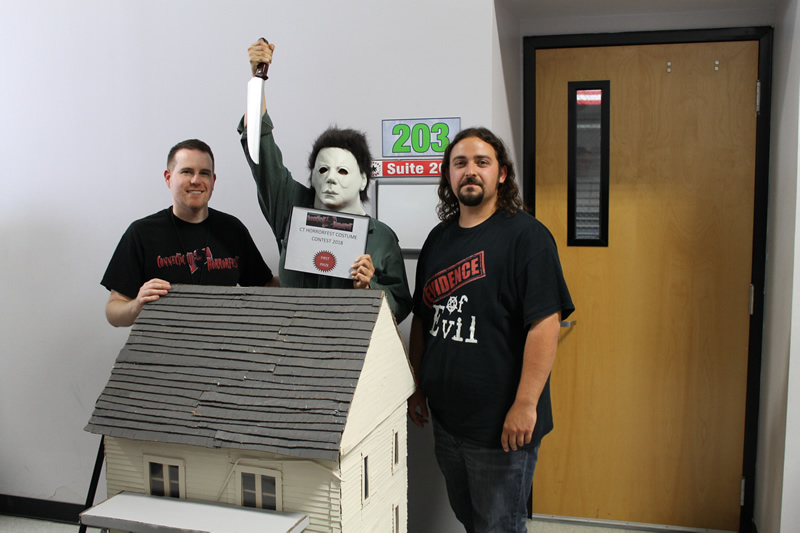 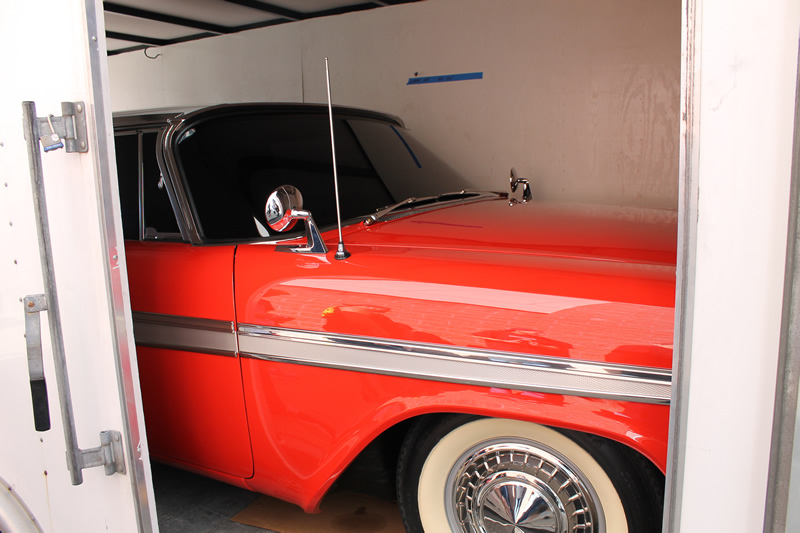 Many guests made their own costumes and used makeup that helped recreate characters from their favorite horror films. 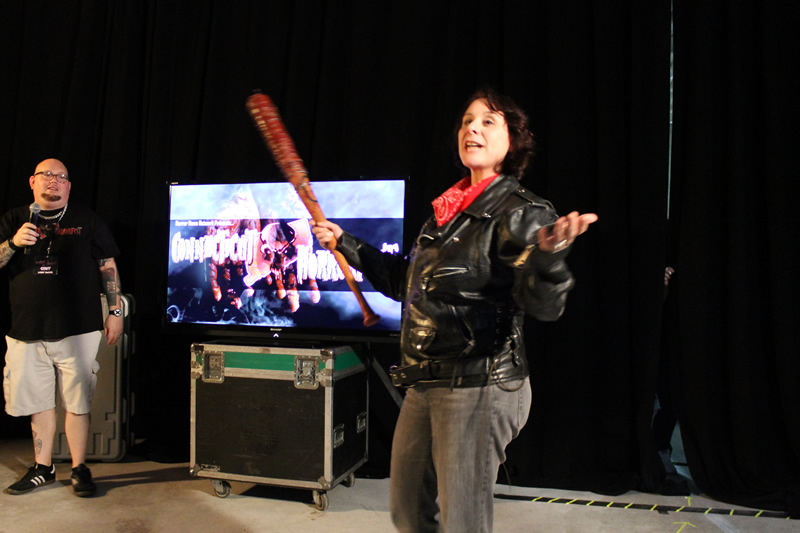 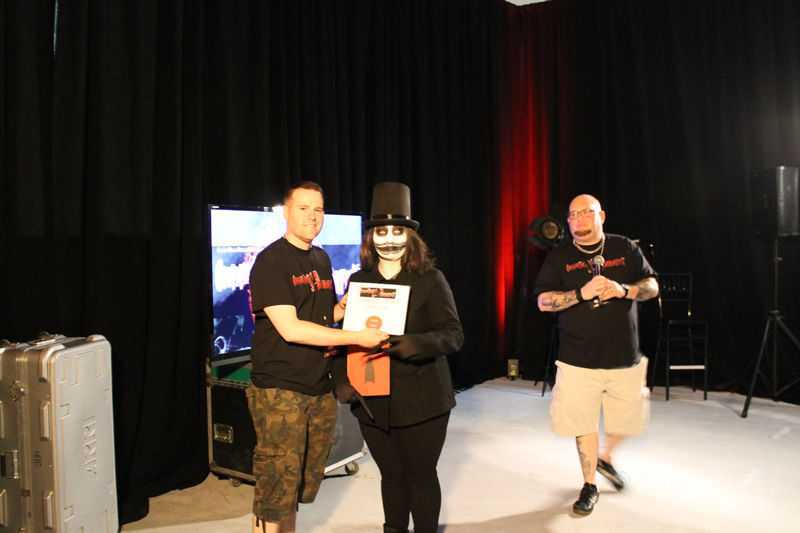 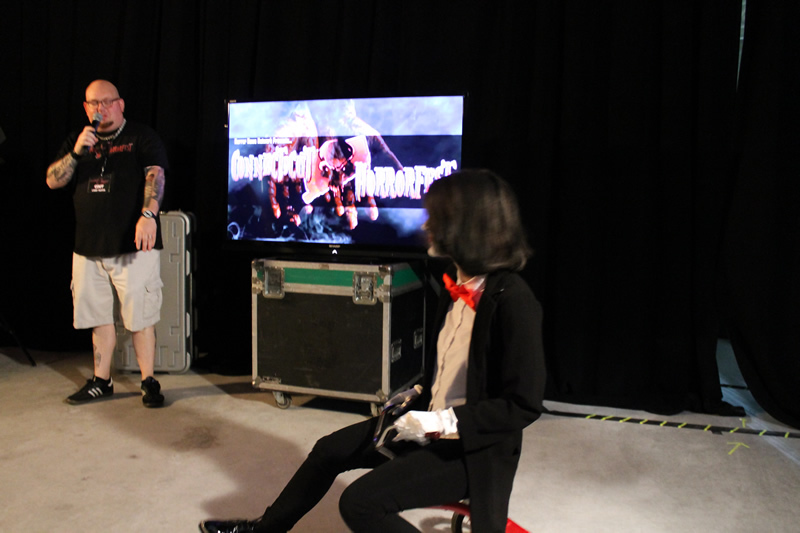 The upstairs panel room encompassed a closed setting where the audience viewing would have a chance to hear the guest actors speak and answer questions hosted by Horror News Network staff members. 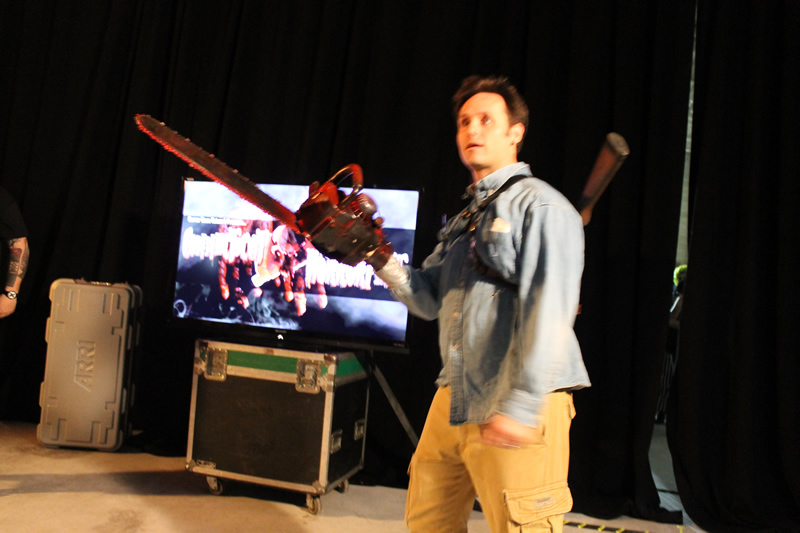 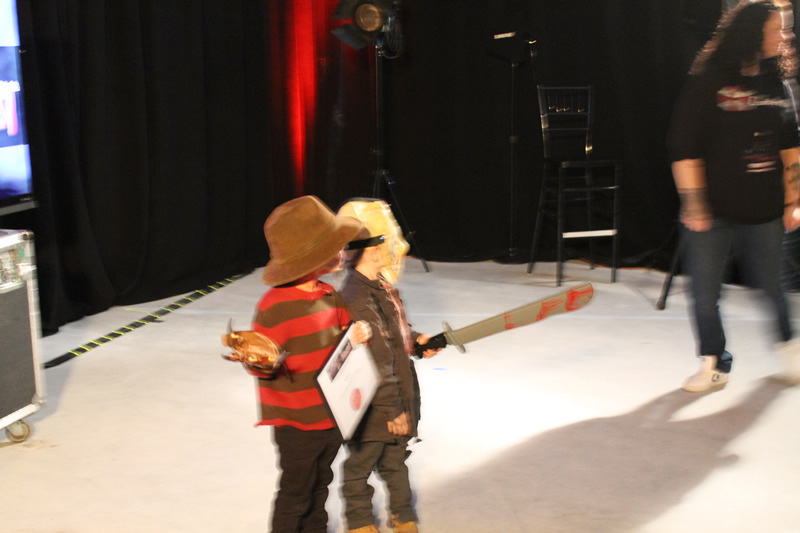 Kicking off was stories of the Child’s Play franchise from Andy Barclay himself, Alex Vincent and was hosted by Sean McLaughlin. 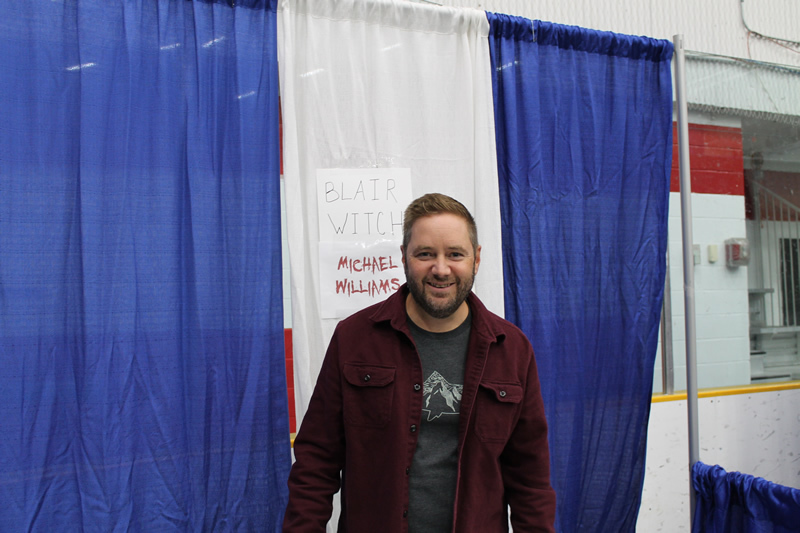 The Children of the Corn had a chance to speak to fans, this time not influenced by a field-dwelling demon, instead by Nick Banks who got some insight on what it was like for the actors while making the film and getting into character. 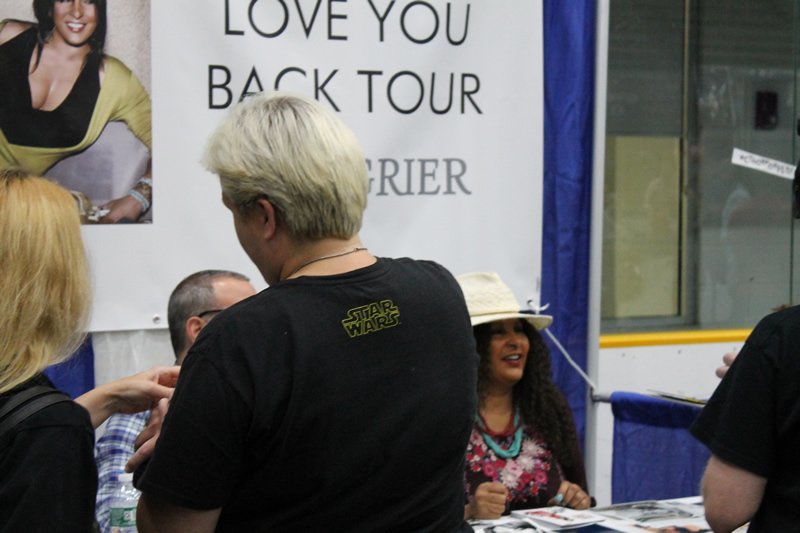 The legendary Pam Grier spoke with Christine Caprilozzi of her beginnings in acting and the many people who helped her along the way. 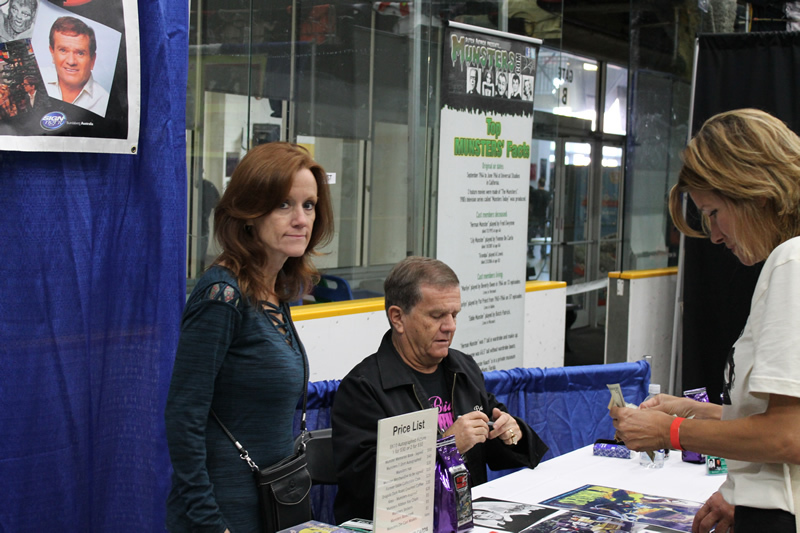 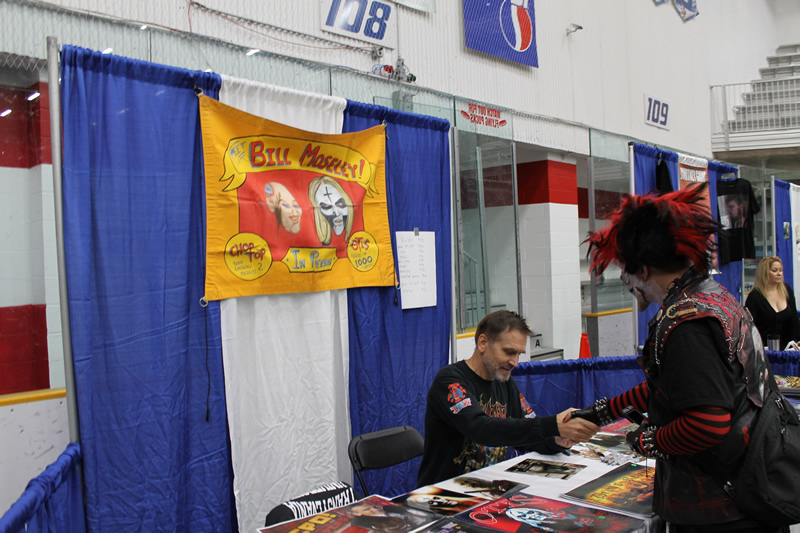 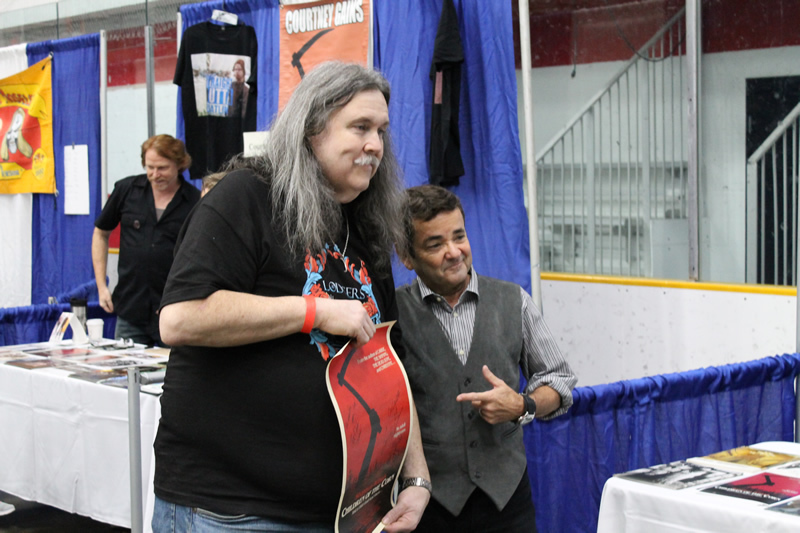 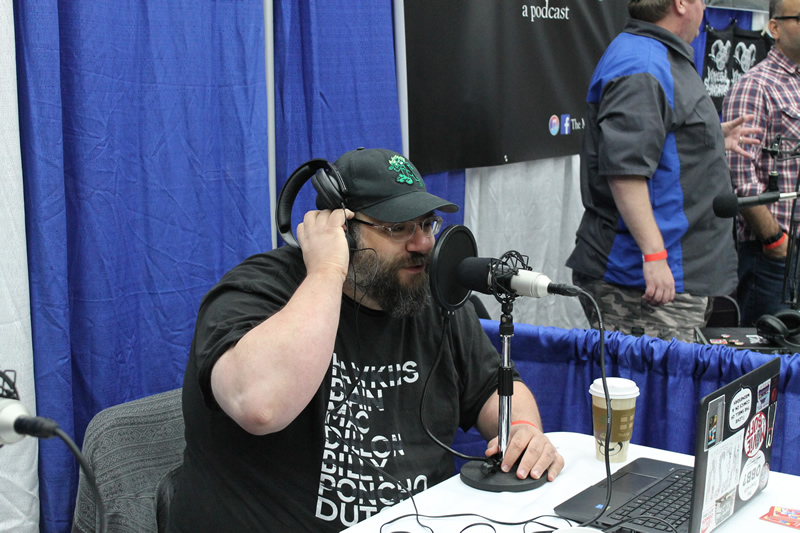 John Evans hosted Bill Moseley, aka Otis B. Driftwood, who entertained the fans with answers from his days working with directors Tobe Hooper and Rob Zombie while portraying his wacky characters. 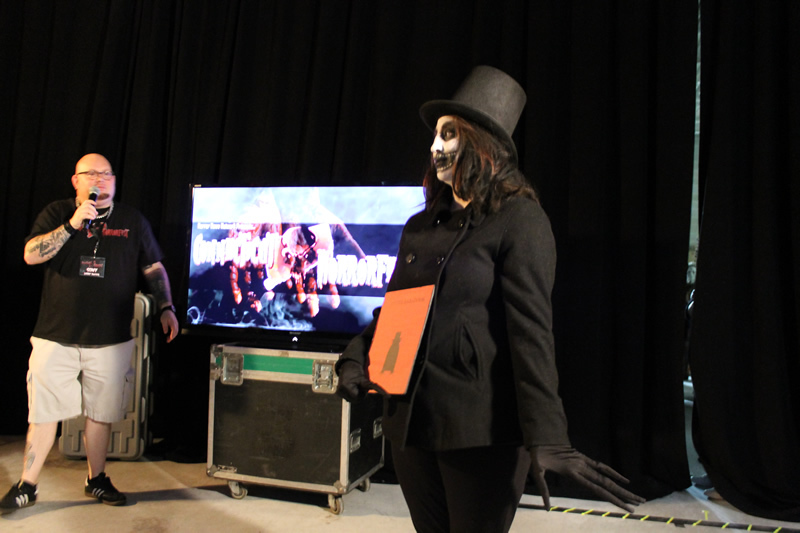 The evening finished on a high note with the Halloween panel hosted by Larry Dwyer, when the trio gathered to celebrate 40 years of the beloved holiday film in which they all starred. 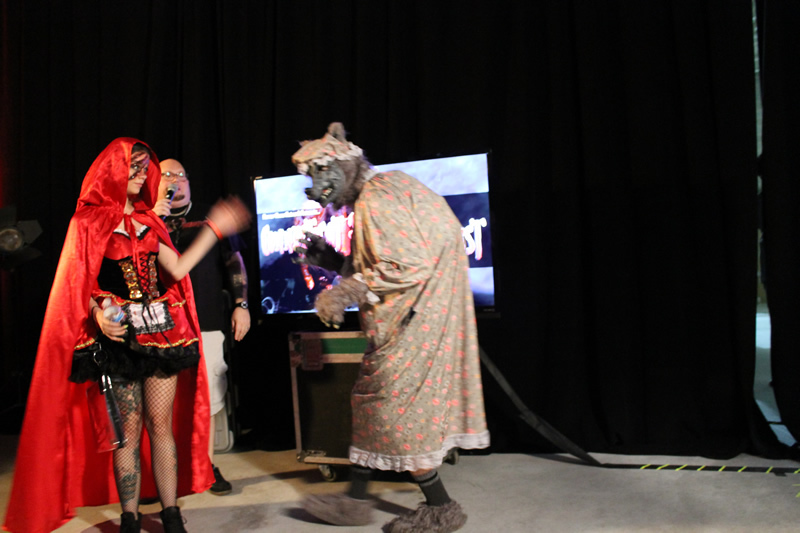 Overall, CTHF was the perfect kickoff to the Halloween season and made possible by proprietors Rob and Christine Caprilozzi. 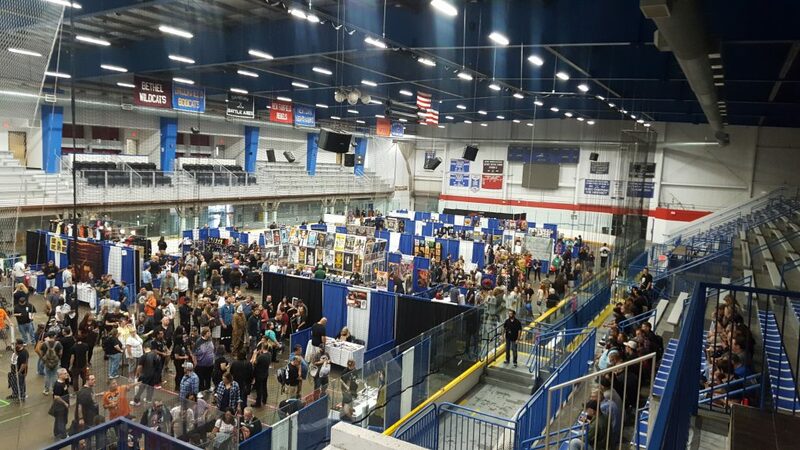 Didn’t make it down this year? 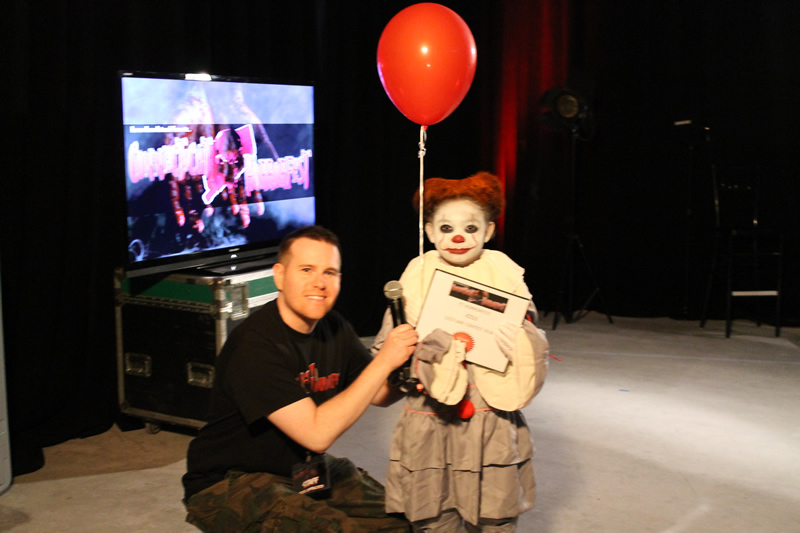 Check back real soon for announcements on Horrorfest 2019!